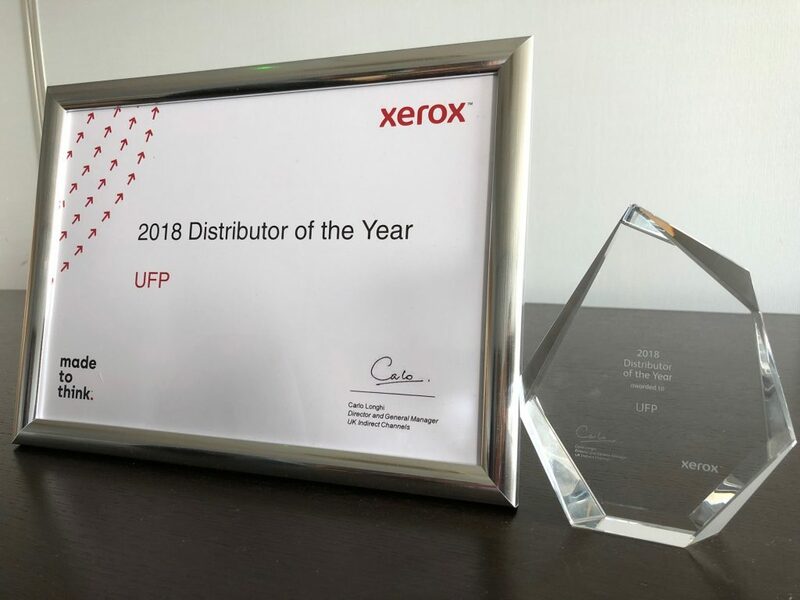 UFP is delighted and very proud to be announced as 2018 Xerox Distribution Partner of the Year. 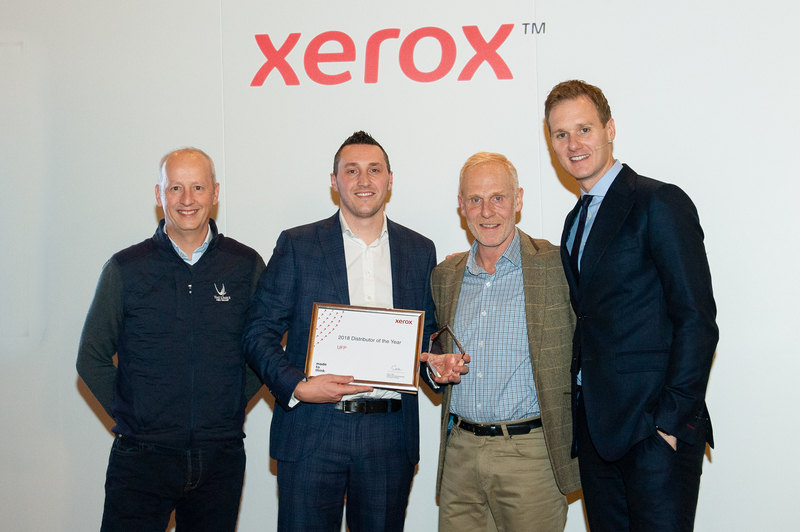 The accolade was announced on Wednesday night at Xerox’s UK Channel Partner Congress held at Celtic Manor, Newport. “This is an extraordinary honour for UFP and is testament to the hard work, dedication and commitment shown by all the team at UFP. I would like to give thanks to our sales, marketing, inventory and support teams for their excellent work over the past 12 months. I would also like to give special thanks to the Account Management team at Xerox for their support and belief in our ability to serve their resellers”. “The relationship between this distributor and Xerox has strengthened signs ﬁscantly over the last 12 months, they have dedicated time and resource to working with the supplies team to ensure quarter end targets are met for the resellers, and stock availability is in line with demand. Meeting and working with their entire sales force has given Xerox the visibility it needs to help support this distributor in establishing their foot hold into the Xerox brand, striving to achieve a greater market share. In October, when Beta Distribution ceased trading, this distributor gave their commitment to Xerox to ensure the depth and breadth stock was visible to the resellers. This has taken a little longer than anticipated but they are now at the forefront of distribution of Xerox within the UK.Their efforts have been pivotal in our recovery and have continued with strong engagement to ensure the stock proﬁle and customer focus is correct to ensure retention/recovery of business”.